Blog Quick Quotes: Off the Page with Kate! Off the Page with Kate! Happy Tuesday Quick Quotes Fans! Kate here today to host the blog for you. With Father's Day right around the corner, I thought you might want a little inspiration. 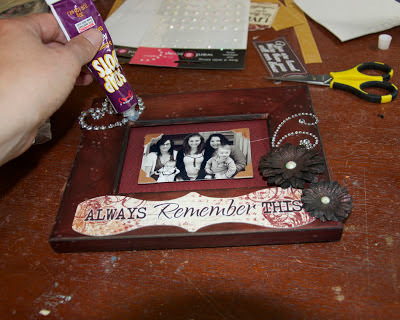 Today I am sharing the altered frame I made for my Dad using Quick Quotes Cracklin' Rose Collection. 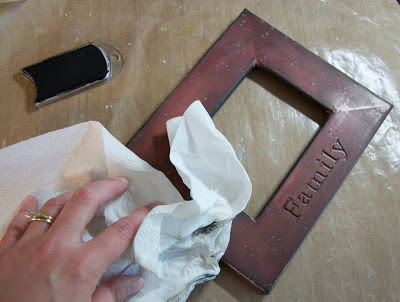 The original frame was a rich cherry wood which I sanded down and added some texture with a texture tool. Once the frame was sanded and cleaned I generously swiped Midnight Confessions Powder Puff Chalking Ink all over the frame, making sure to get lots of ink in on the edges of the frame. To add to the distressed look, I swiped of a bit of the ink in some spots with a dry paper towel. 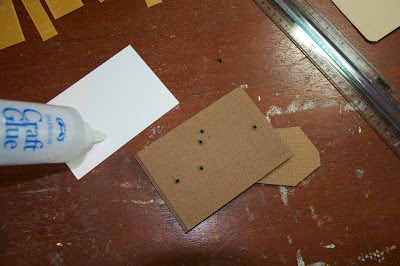 I glued the Cracklin' Rose paper directly to the mount creating the background for the photo. The finishing touches included adding the Cracklin' Rose Chipboard Die Cuts to my frame. I used the corner piece die cuts on the corners of my photo and the sentiment die cut to cover the wording that was etched into the frame. Wishing all the fathers out there a very Happy Father's Day! Very nice job of repurposing! love how you used the ink! Beautiful job, Kate!! Kate, you made this look so easy! Absolutely gorgeous! I believe I will have to try this!! Beautiful job! this would make a great gift for all sorts of different occasions. That looks great... and so creative..
Great way to re-purpose a frame. I love Quick Quotes products! What a fantastic & beautiful transformation. The Midnight Confessions Powder Puff Chalking Ink really warmed up the frame & using the sentiment die cut to cover the etched wording was brilliant. 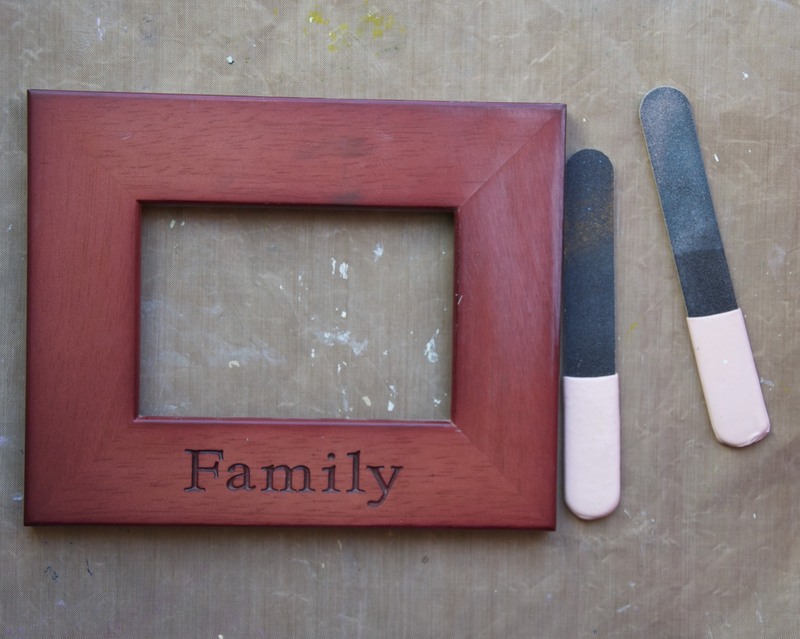 You can be certain your dad will love both the photo & frame. 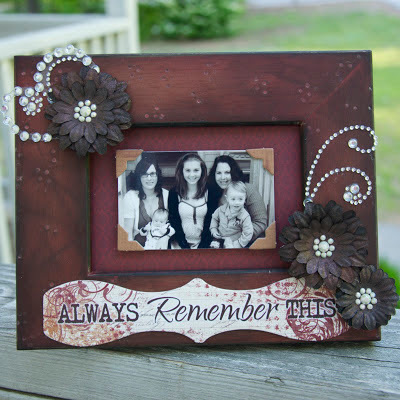 Beautiful frame and fabulous gift idea!! I love the way you used the inks to alter the frame! I was amazed at the amount of comments on here and then figured out there must be a contest going. It really is worth your time to check the QQ blog daily, even when there is not a contest involved. These designers really produce wonderful projects and I am sure that they would appreciate some comments left in exchange for the time they take to share their projects. I do appreciate all the QQ designers and just wanted to let you know that.